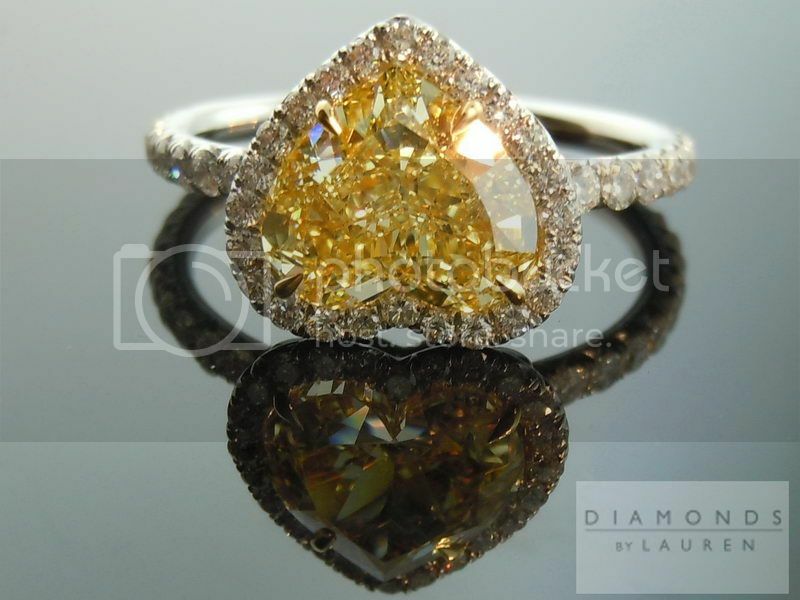 Here is a stunning yellow diamond halo ring. 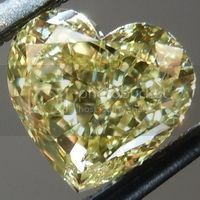 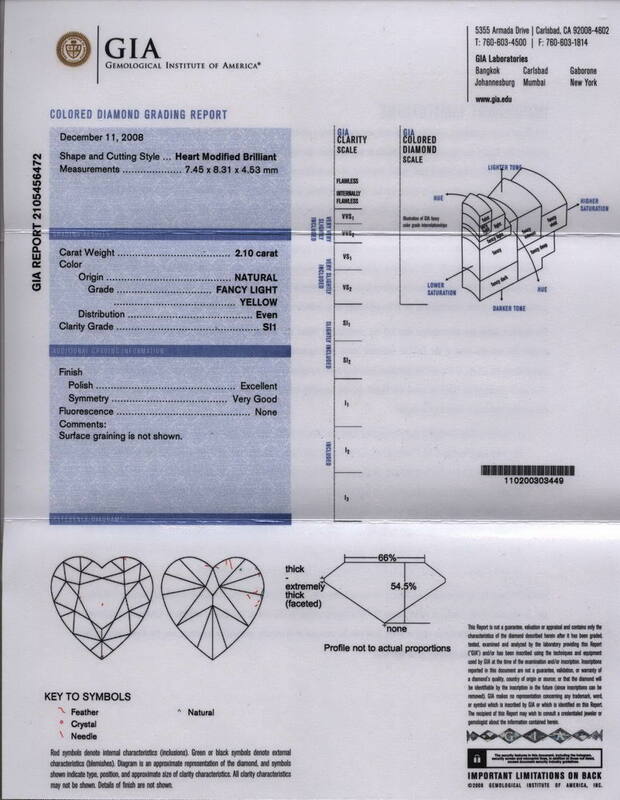 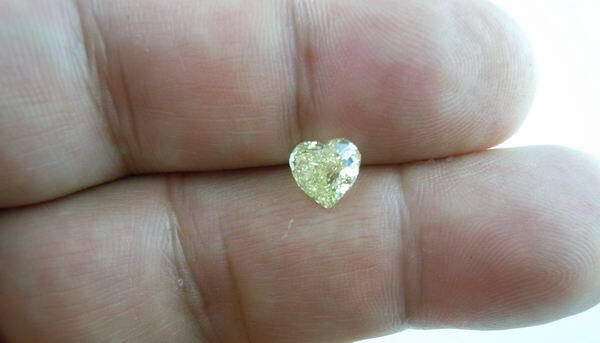 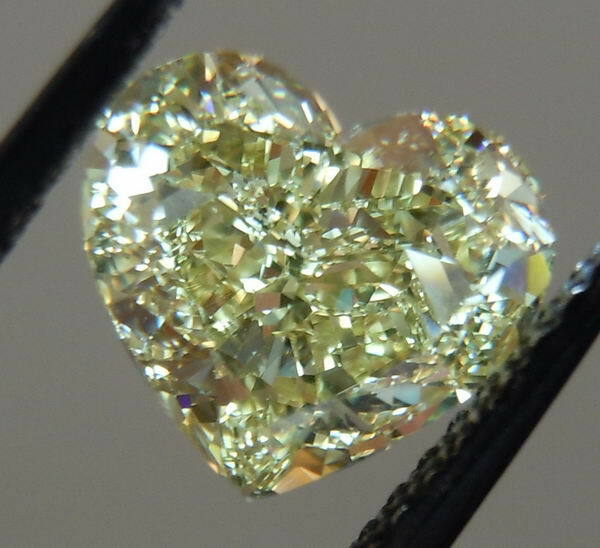 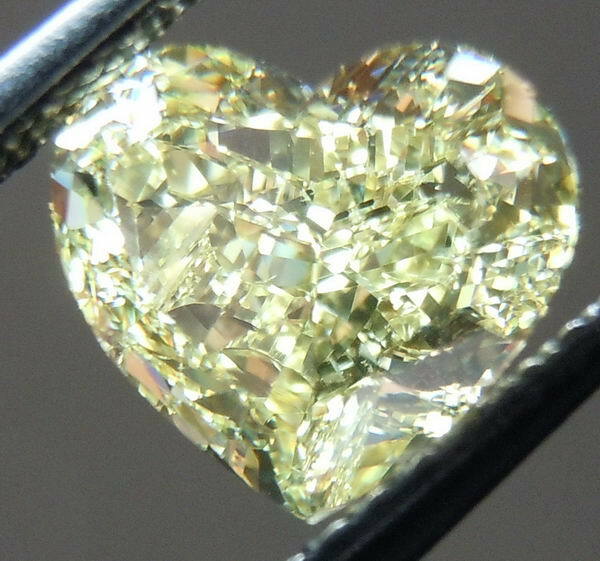 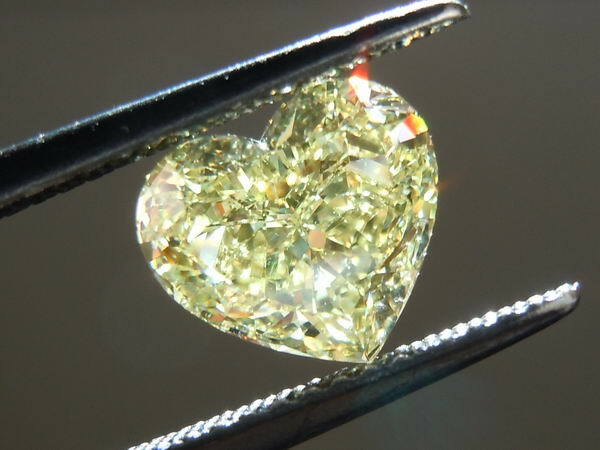 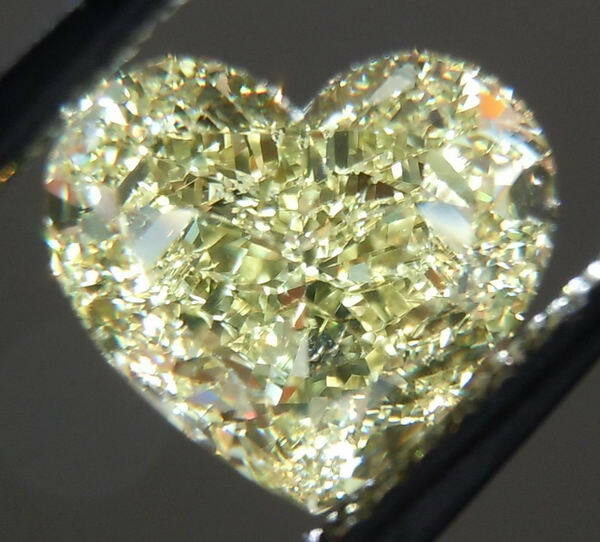 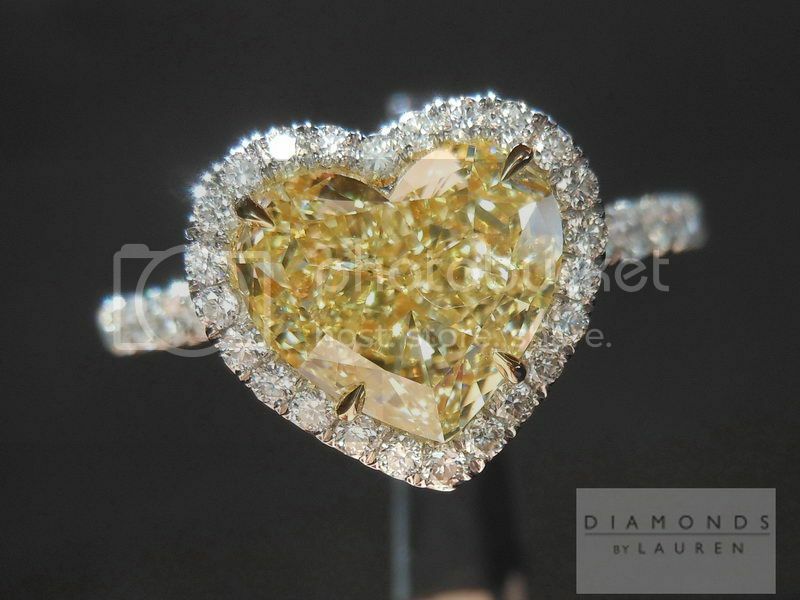 At the center of the ring is a very beautiful yellow heart shape diamond. 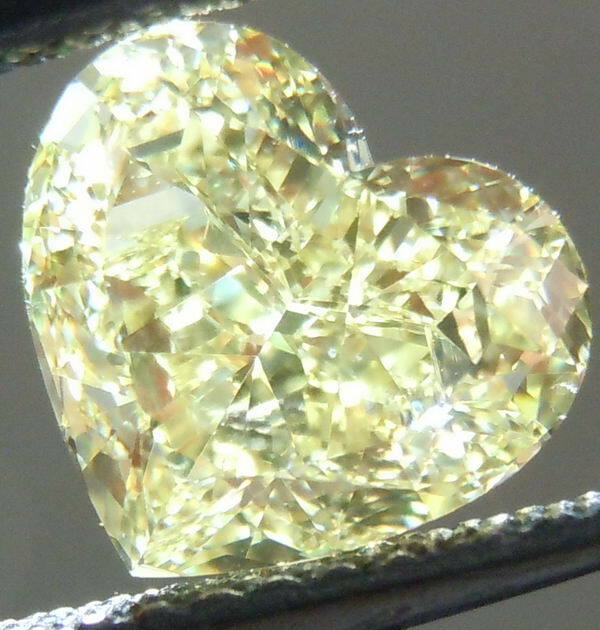 The cut is a perfect classic heart shape with a nice organic feel to it. 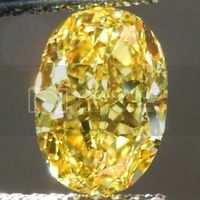 The yellow diamond color is very bright. 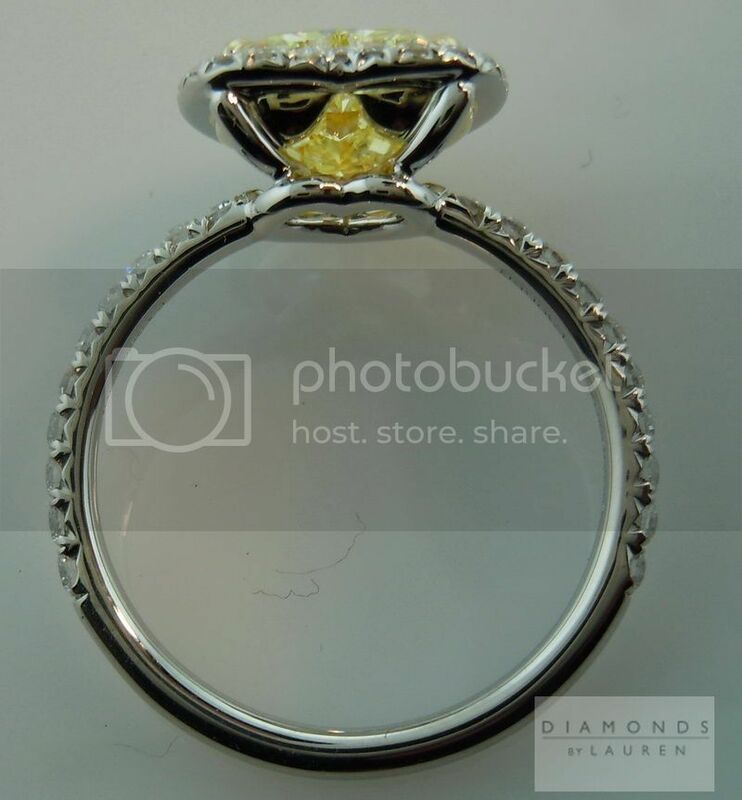 We feel GIA was pretty strict on this stone. 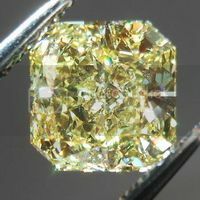 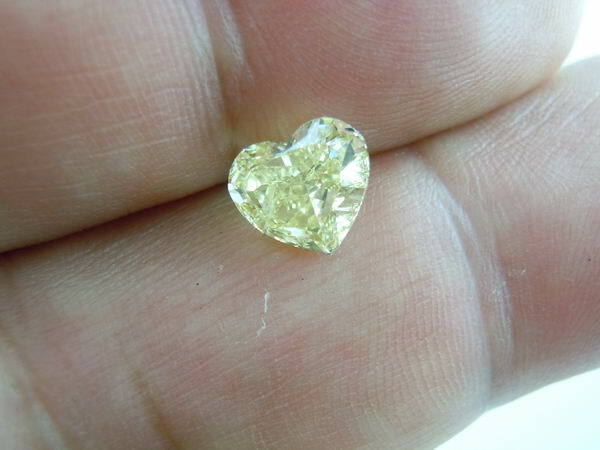 It is for sure a borderline Fancy Yellow diamond. 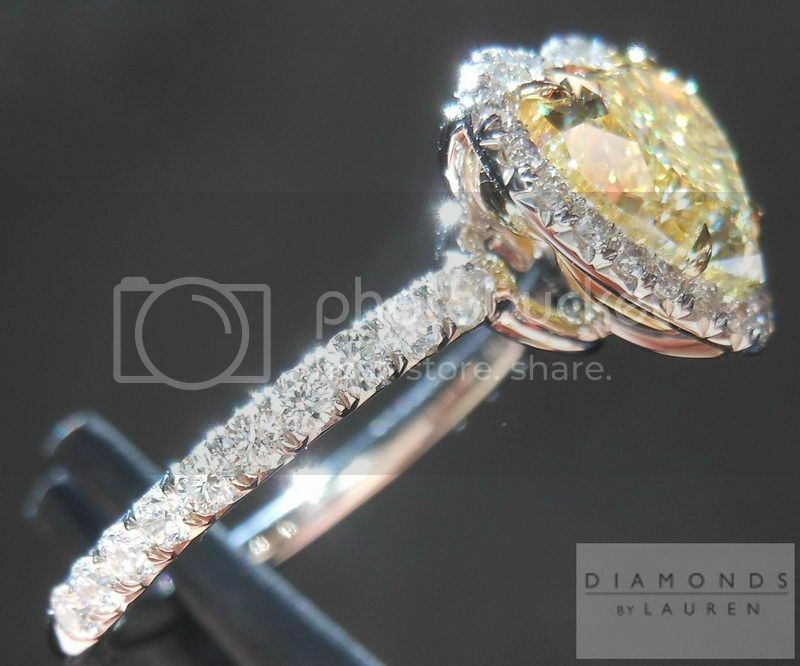 The stone is a totally eye clean SI1, so no imperfections will get in the way of the beauty. 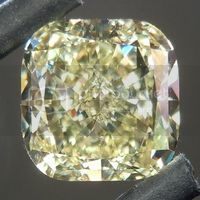 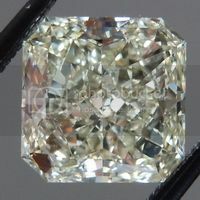 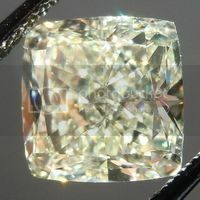 The yellow diamond is very well cut - full of sparkle! 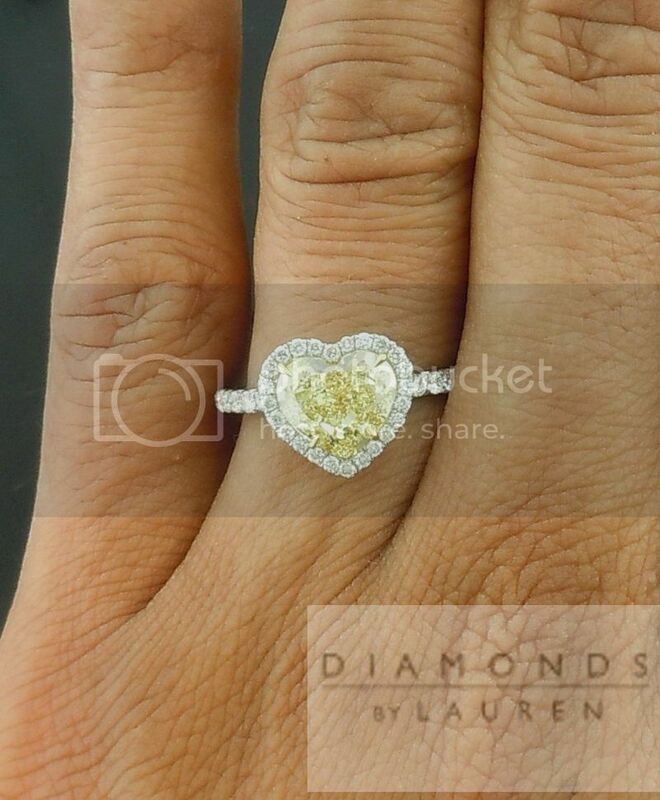 From the artfully shape prongs to the perfectly shaped yellow diamond heart halo, you can see the quality on this yellow diamond ring is amazing. 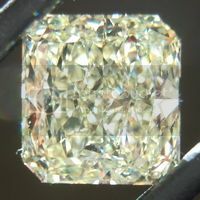 Now set the center diamond looks even more yellow than before. 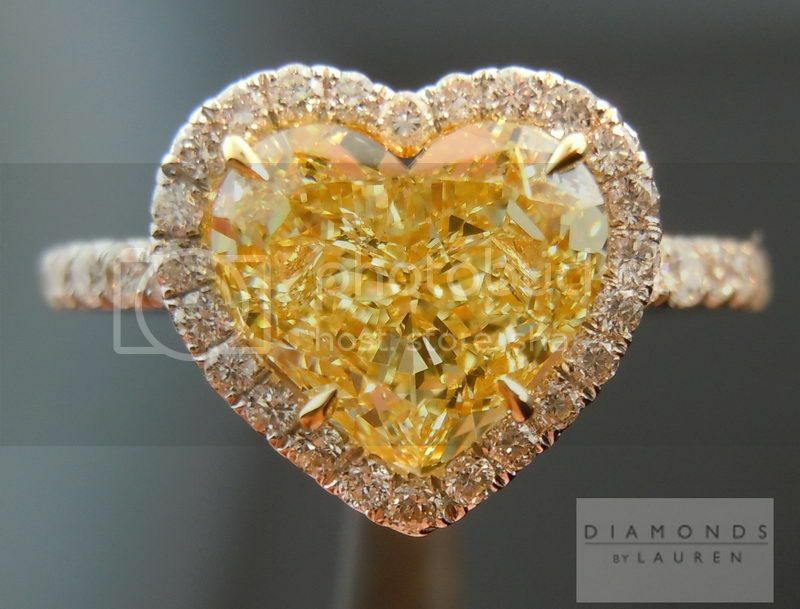 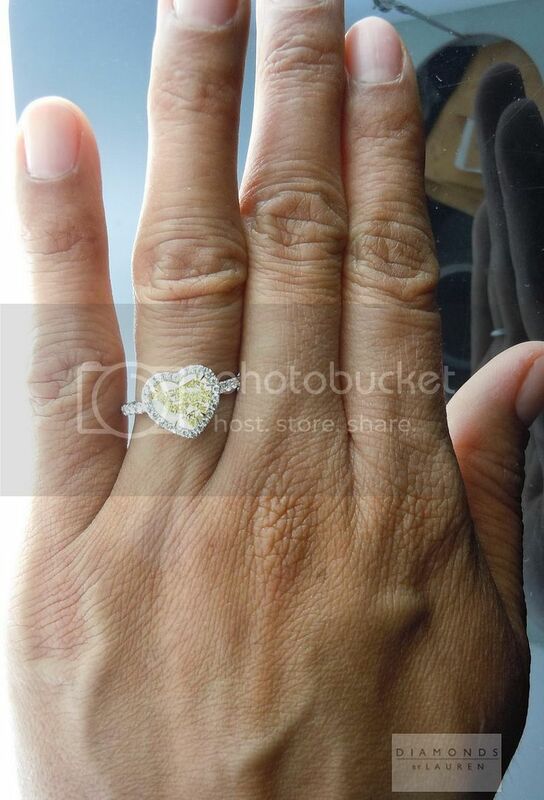 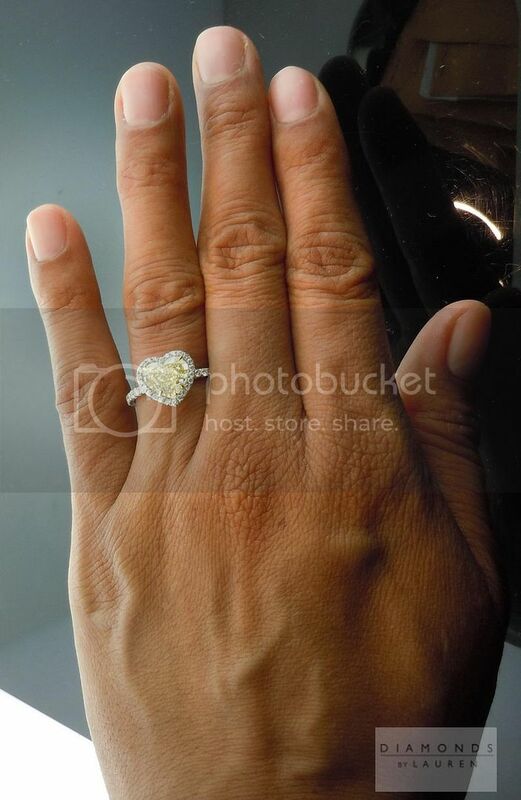 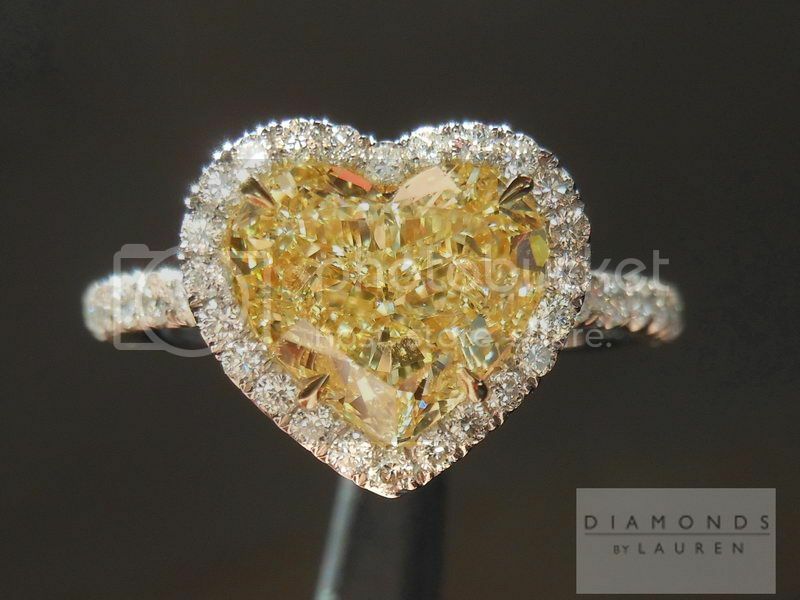 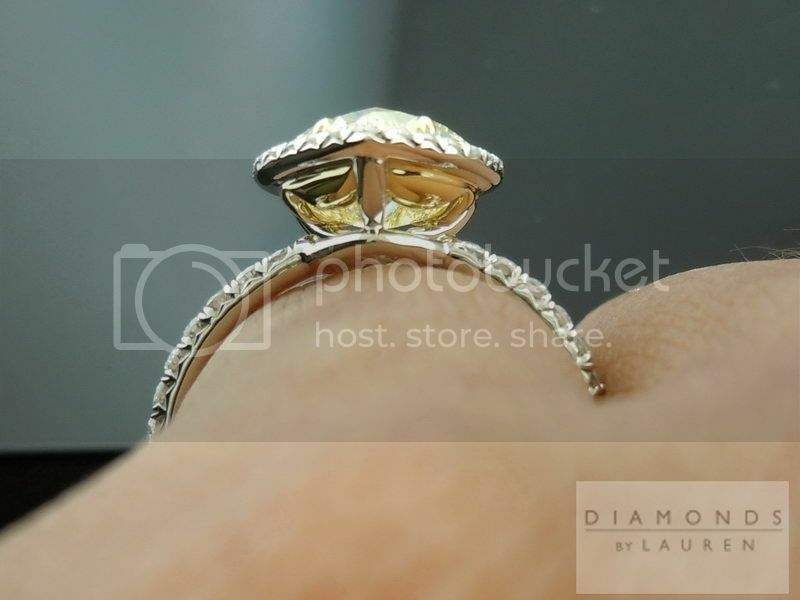 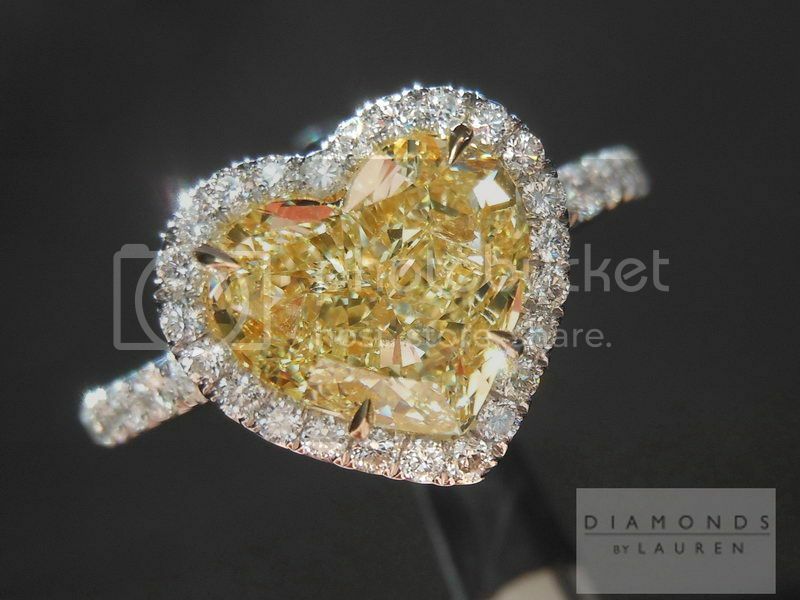 If you like the photos of this yellow diamond heart halo ring, you will love this ring in person - we guarantee it!